Usain Bolt the fastest man in the world just jogged to the finish line with a smile on his face & won 1st place in the Rio Olympics. The win took the sprinter a step closer to his goal of winning a historic "triple-triple" combination - of gold in the 100m, 200m and the 4x100m relay in three consecutive Olympics. But what was more remarkable was his winning smile when he turned to his left and flashed a cheeky smile for photographer Cameron Spencer. 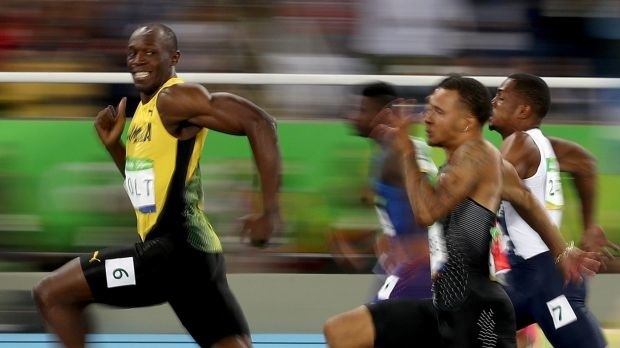 Usain Bolt's cheeky winning smile Photographer Cameron Spencer took a big gamble when he snapped an outstanding photo of Usain Bolt smiling as he won the men's 100 metres semifinal. The image captures the incredible moment Bolt qualified for the men's 100 metres at the Rio Olympics with such apparent ease as he had time to crack a grin. Bolt not only won the race but left the internet with his winning as he raced past the competition and across the finish line. And as you can see, it didn't take Twitter long to respond with their hilarious meme reactions.